You are currently browsing the category archive for the ‘Historical Fantasy’ category. When I first saw this book described by the author as being the book Jane Austen might have written had she lived in a world with magic, I did think that was a bit much. Obviously I wanted to read such a book, but really, comparing yourself to Austen? Isn’t that reaching a tad high, especially for a debut novelist? Also, let’s face it, a lot of authors have jumped on the Austen bandwagon. I’ve been burned by a lot of bad sequels to Pride and Prejudice, and while I never actually got around to trying that novel with added zombies, I did read a page of Sense and Sensibility and Sea Monsters, and I’m never getting that thirty seconds of my life back! But then I read this book, and I realised what was going on here. 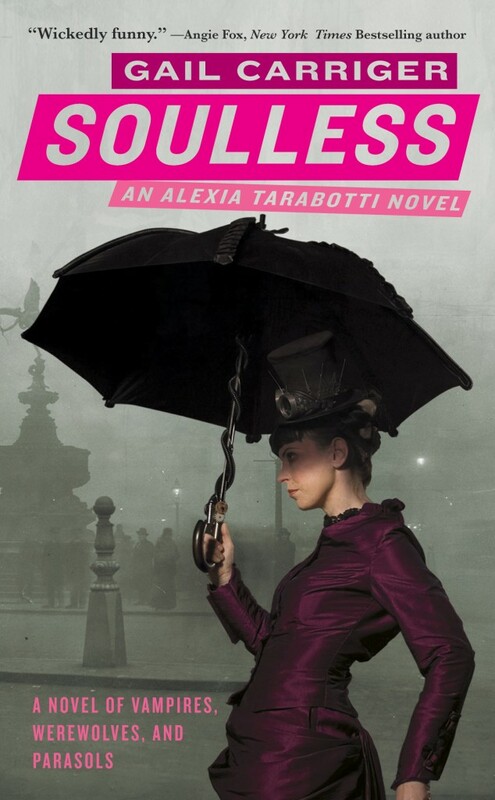 I was first exposed to what’s become known as The Parasol Protectorate series (the books are subtitled as being “Alexia Tarabotti novels”) a number of months ago, via a great video showing the creation of the cover of Blameless. This did the rounds on the ‘net showing how cover design comes together in a very cool way. I watched it a few times, thinking how clever it was, but that the book itself didn’t look like my sort of thing. HOW WRONG I WAS! When Tansy and Alex started raving about the books, I knew I had to try them. Then I received a review copy of Blameless and that decided it – Soulless and Changeless became my only Aussiecon 4 prescribed purchases, and when I finally got the chance to read them, it was to the exclusion of all else. I’m not really sure what I thought these books were about, when I first saw them appearing in bookstores and via the cover design video (which I now recognise as some very smart marketing!). I guarantee I did not realise they were funny, smart, paranormal fantasy set in an almost real historical world, populated by suave and sinister vampires, tough and militant werewolves and a society that has built itself around its supernatural inhabitants. Did I mention funny? 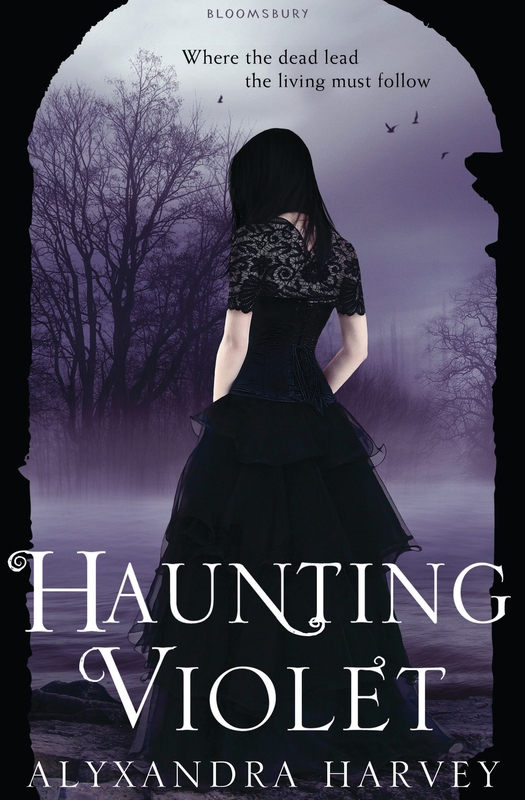 I have never been caught up in the paranormal romance obsession. Unless they’re being hunted by Hugh Jackman or Wesley Snipes, vampires have rarely done it for me, and werewolves even less so. I have never opened a Twilight book, never seriously watched Buffy, and never come close to Sookie Sackhouse (all of which a number of my friends can ruefully confirm). Which makes it all the stranger that I read, and enjoyed, Soulless. I was initially interested in the book because of a friend’s description of it as ‘mannerpunk’. I’d read Pride and Prejudice and Zombies, and thoroughly enjoyed it, so I thought vampires and werewolves in Victorian London may well be worth a go (despite not being a fan of the period). And once I picked it up, and discovered that the main character’s name is Alexia – well, I’m no more immune to vanity than the next person. After resisting the purchase of this tempting morsel for so long, I snatched it up pretty instantly upon finally acquiring it, and read it over a couple of days. Considering how little book reading time I usually have, this is saying something. The story runs along at great pace, and with great humour. 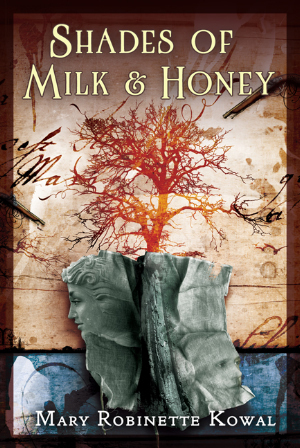 It really is like a cross between Jane Austen and PG Wodehouse, with added vampires, werewolves and steampunk. I began reading this series with the second volume, Lords of the Bow, because this was the first book I received and was asked to review. I find it awkward, of course, to enter a narrative series in the middle—I feel as though I have arrived very belatedly at a party, long after friendships have been made, bonds affirmed, confidences and knowledges exchanged. I hang about uncomfortably at the edges of the narrative, trying to look as though I were part of the conversation, but feeling a little mystified and often quite shut out of the sharing of memories, ideas and, above all, stories. Often my engagement in the conversation is based on guesswork about what happened at the party while I wasn’t there. 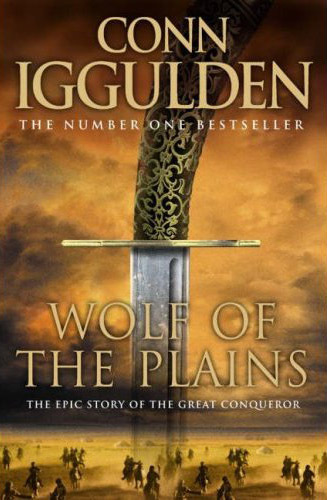 In a sense, however, it was entirely appropriate that I begin with the middle volume: the series is described on the front covers of each book as “The Epic Story of the Great Conqueror,” and one of the rules of epic narrative, as these came to be formulated in antiquity and codified later, was that such narratives should begin in medias res, that is, literally, “in the middle of things.” The Conqueror series lives up to its description as an epic narrative, though its author, Conn Iggulden, has chosen to begin his story at the beginning, rather than in the middle.